These film masterpieces mocked the reality of living in the People’s Republic of Poland. They tamed wartime traumas and revealed the ‘illogicalities’ of capitalism. They depicted underdogs with affection. They reflected a mirror image of Polish history. They laughed at national stereotypes and – most importantly – made people laugh. Culture.pl presents some of Poland’s best post-war comedies. Since 1949, hundreds and hundreds of different kinds of Polish comedies have been filmed – some more dramatic, others more romantic or quirky. Many were immensely popular, but not particularly demanding. Here we look at the crème de la crème of post-war Polish comedies– movies that make you laugh without insulting your intelligence and sensitivities. 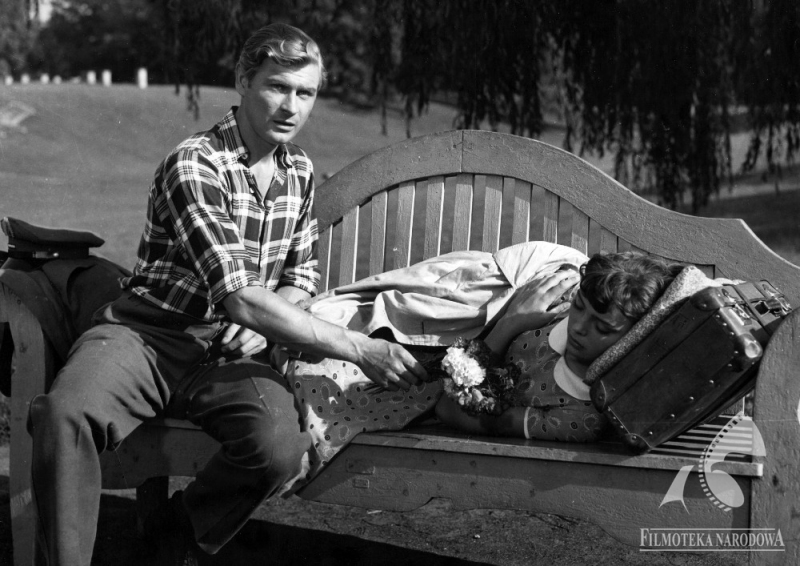 Even though Ewa Chce Spać (Ewa Wants to Sleep) was released more than 60 years ago, the film still enchants with its unpretentiousness, humour and elegance. Tadeusz Chmielewski’s film is a meeting point for Chaplin’s pictures, William Wyler’s Roman Holiday, Under the Roofs of Paris directed by René Clair, and Monsieur Hulot’s Holiday starring Jacques Tati. It contains some slapstick and some romance – it is a comedy of errors and situational jokes. I wanted to make a comedy which wouldn’t be too realistic; one that would bypass all the dirt, greyness and poverty that was surrounding us. While the directors of the Polish School of film were directing shocking dramas about World War II, Chmielewski injected Polish cinematography with a shot of energy and a sense of humour. Alongside screewriters Andrzej Czekalski and Jeremi Przybora, he created a comedy has plenty of panache. He mocked every single thing he hated: spiritual provincialism, false pomposity, Poles’ tendencies such as pretentious devotion and meaningless gestures. His Bad Luck was called the saddest Polish comedy for a reason. Its protagonist, Jan Piszczyk, is a cowardly opportunist who tries to survive the war without getting involved in any way, at the same time creating various myths and stories about himself. His life is a story about Polish history applied without anaesthesia. Bringing to mind stars of American slapstick comedy (such as Buster Keaton), Munk together with the genius Bogumił Kobiela takes a closer look at national ‘mythomania’ – the source of Poland’s collective misfortunes. Sylwester Chęciński used comedy to try and tame Polish society’s historical traumas. The outcome of this experiment turned out to be one of the most popular Polish comedies of all time. Andrzej Mularczyk was one of the reasons for this great success. Mularczyk looked to his only family’s history for inspiration – to the time of their resettlement across the Bug River to the Recovered Territories. It also includes references to Aleksander Fredro’s The Revenge as well as Romeo & Juliet. The story of the Kargul and Pawlak families reflected all of the important social and political changes of the post-war period. Chęciński was indeed mocking Polish national stereotypes – but doing so with great affection and tact. 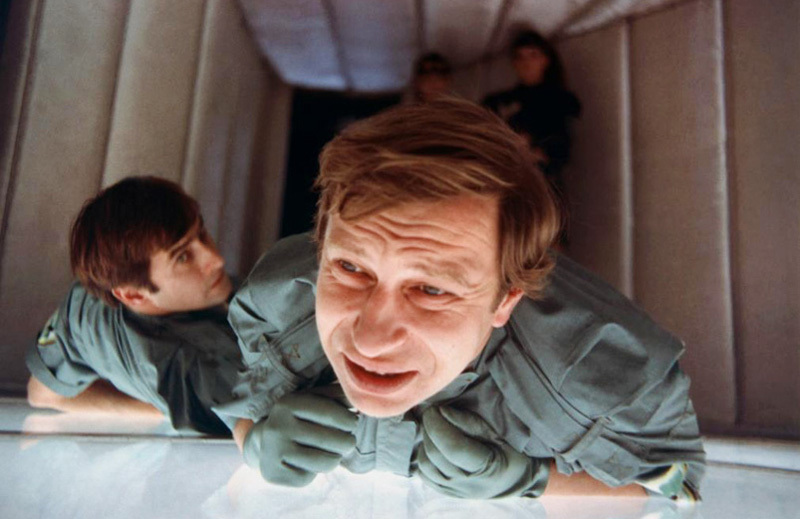 The brilliant roles by Władysław Hańcza and Wacław Kowalski granted Our Folks a position Polish comedy pantheon. The only Polish comedy that can match Our Folks’ popularity and screening frequency on Polish television is Chęciński’s next film How I Unleashed World War II (produced as a reply to Andrzej Munk’s Bad Luck). Based on Kazimierz Sławiński’s novel The Adventures of Dolas the Cannoneer, the farce depicts an ordinary soldier who keeps wanting to prove his bravery, but every time he does, wartime chaos throws him a new crazy adventure his way. This was the strategy for taming emotions and traumas evoked by World War II with laughter – a significant need, which was proved by its later commercial success. Over the course of time, Marek Piwowski’s debut became a cult comedy, however, its success wasn’t that obvious at the beginning. 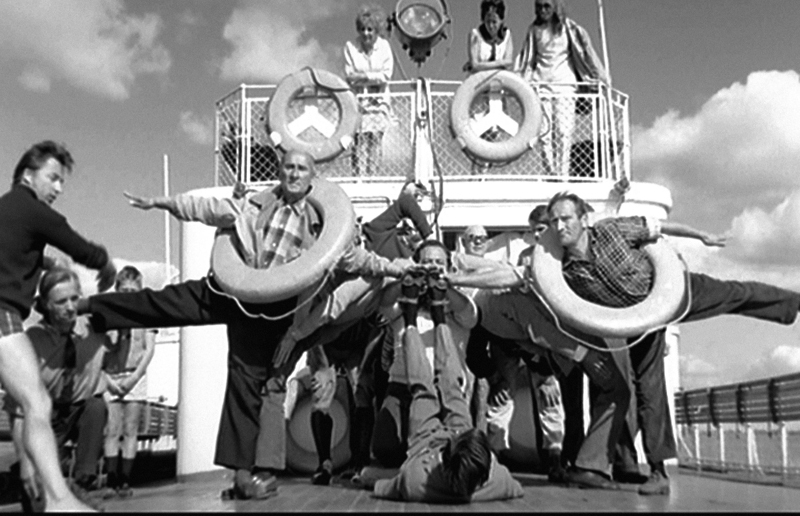 The Cruise’s formula, which included elements of grotesque and cabaret, was not accepted by filmmakers at the time, and surely not by the communist authorities. The latter were so disgusted, that the film was actually banned from wider distribution. But these limitations didn’t stop The Cruise from becoming immensely popular among audiences and critics alike. The Cruise doesn’t fit any typical framework of Polish cinematography. It’s a cabaret on the screen – what’s more, it’s an improvised cabaret that is, at the same time, very realistic (…) Piwowski’s talent for observation, his sense of humour and, one more thing – that acute conscience of national pathology. These features allow him to collect enough material for a feature film, not only in terms of length. The film tells a story of a man who boards a cruise ship without a ticket and accidentally ends up becoming the cruise director. The Cruise made Piwowski the master of Polish comedy. He had, however, been working on this title even before the film came out. Piwowski had a number of brilliant comedy documentaries such as Overture – some of the funniest things that can be experienced in Polish cinema. While The Cruise was busy breaking the rules of classic feature comedoes, Andrzej Kondratiuk was also creating a truly revolutionary comedy. His Hydrozagadka (Hydro-riddle) did not follow any comedic trends that were fashionable at the time. He was not trying to film a typical farce or a cabaret. He created a camp film according to the rules described by Susan Sontag in 1964. This was at a time when this style had not yet been introduced in Poland (the translation of her Notes On Camp was published in Literatura Na Świecie [Literature Around The World] in 1979). Produced at the very end of Gomułka’s reign, the film captured the discrepancy between the country’s old-fashioned style and modern aspirations. The picture referred to the poetics of Western comics featuring Superman and Batman –ones that weren’t really known in Poland at that time. 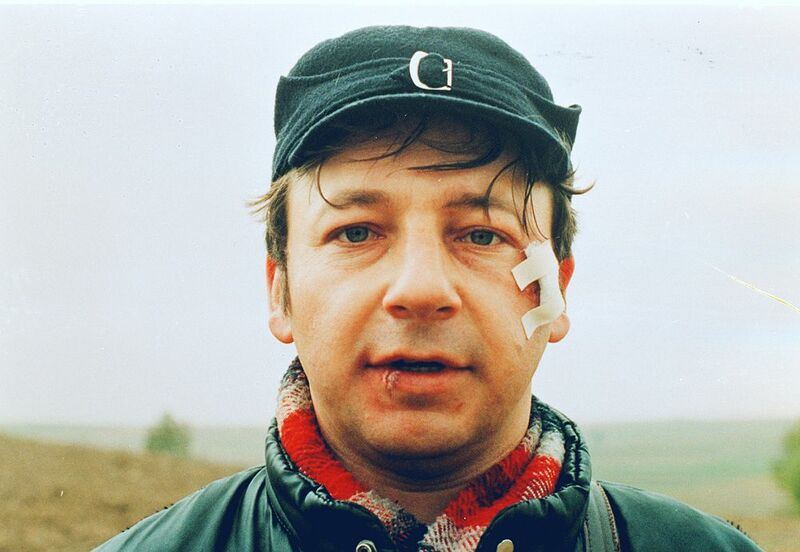 This is why the main character of Hydrozagadka, As, played by Józef Nowak, was, in fact, a parody of the Polish variation on the subject of Western comics– a TV series entitled Kapitan Sowa Na Tropie (Captain Sowa On The Trail) starring Wiesław Gołas or Kapitan Żbik (Captain Żbik) – a comic series released between 1967 and 1982. So the outfit and technique of this hero were imported from the West, but his mentality was definitely more Eastern European. Kondratiuk’s TV production has not lost any of its class and its wit remains sharp today. The grotesque meets absurdity, wordplay meet slapstick, and nonsense turns out to be a more reliable weapon than any hidden superpower of As the Superhero’s. 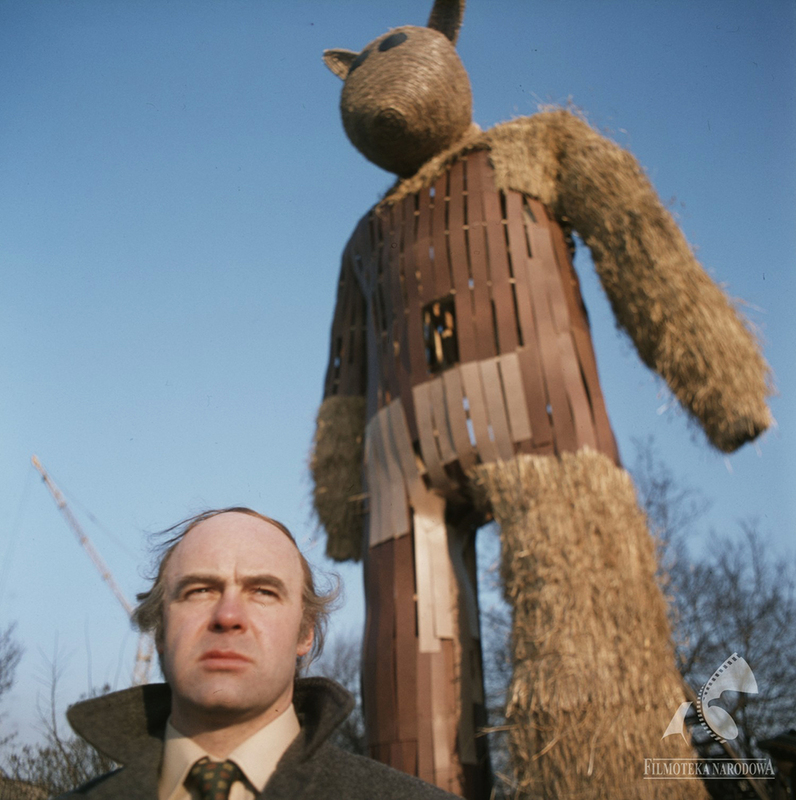 While Hydrozagadka was governed by the power of nonsense, Janusz Kondratiuk’s speciality was affectionate satire and, according to Tadeusz Lubelski, the ability to ‘find poetry in the cheap reality of the Polish People’s Republic’. 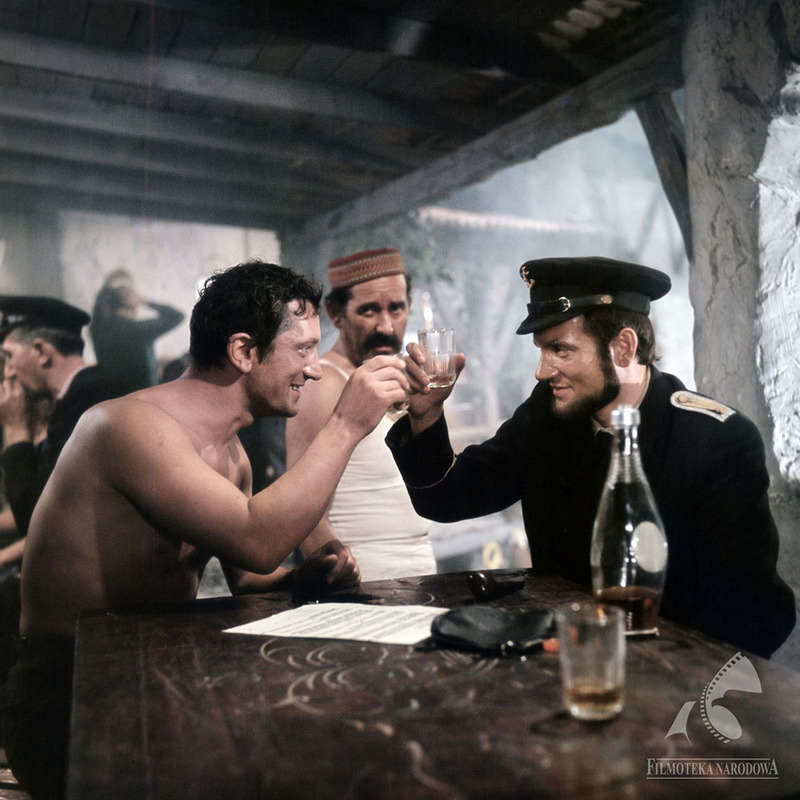 The younger of the Kondratiuk brothers presented a world similar to the one known from the pictures of Miloš Forman – grotesque, funny, a little pathetic, but at the same time so familiar to Polish audiences. The director described the changing world of the Polish People’s Republic and the people lost in the forest of its illogicalities. Czy Jest Tu Panna Na Wydaniu? (Is There A Marriageable Girl Here?) is a story about a young boy who sets off with his uncle on a quest for the perfect wife. - What do you mean – she’s too beautiful? What, you want an ugly witch? – Maybe not an ugly witch. Something in between, just an average one. – Why would you need an average woman? – And why would I need a beautiful one? I think I became a director to make comedies. Although today that seems obvious, he was not always the king of Polish comedy. After his early films came out, Bareja was accused of conformity. Another director even coined the word ‘bareism’ to describe commercial film deprived of ambition. Bareja’s later style, the one we all know and love, was shaped in the mid-1970s. These films are full of jokes, which point out the irony that points absurdities of the Polish People’s Republic – and laughs at them like no one else would. 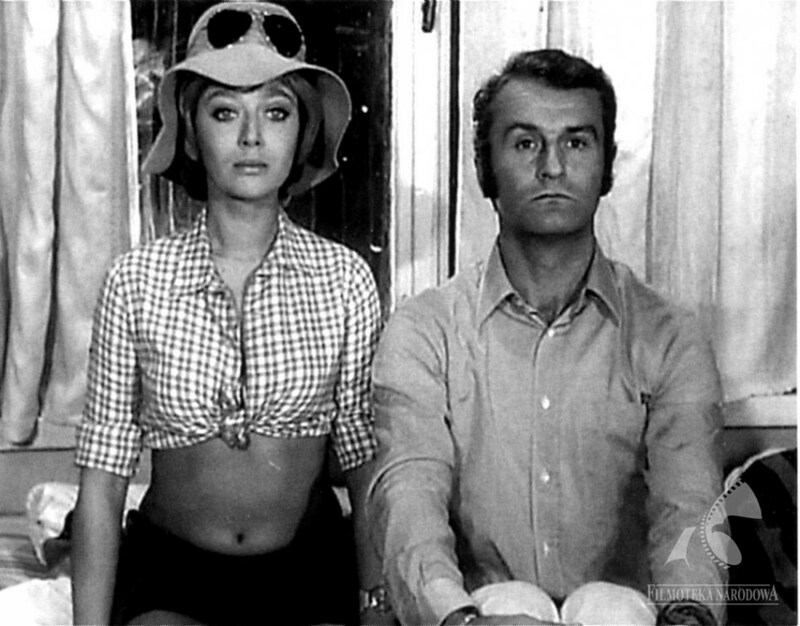 Brunet Will Call, with the wonderful role of Krzysztof Kowalewski’s, is not only one of Bareja’s most popular pictures from this period, but, in the author’s humble opinion, also the funniest one. The story about a terrifying prophecy, a secret murder and unfriendly neighbours is the essence of a comedy that teems with nonsense and absurd humour, but at the same time, deprived of the journalistic burden would make the Bareja’s next films heavier. Our world was shown upside down in his film, and we’re pretending that we don’t see this state of affairs, or maybe we really don’t notice it. Bareja was not afraid of the censors. But the censors were afraid of his movies: in What Will You Do they asked for twenty changes, including changes to the poster created by Jerzy Czerniawski. This cult classic and probably the most popular film by comedy legend Stanisław Bareja, Teddy Bear, struggled with communist censorship as well. Initially, the film wasn’t allowed to go to the big screen, but finally, the film was released in 1981, when the Solidarity movement was coming together. This absurd story about the manager of the ‘Rainbow’ sports club is probably best known today for its magnificent and unforgettable one-liners and scenes which evoke the sheer ‘illogicality’ of the realities of living in the Polish People’s Republic – such as spoons chained to tables in milk bars. But the strength of Bareja’s productions was not manifested only in his mocking of the system, but also in showing that the communist regime had undermined public trust in the state by rewarding swindlers, thieves, conmen and straight out liars. Even though Bareja’s films could be juxtaposed with the Polish Cinema of Moral Anxiety which was thriving at that time, his comedies also sketched an (a)moral landscape of the times. While Teddy Bear was winning over the hearts of audiences all over the country, a new ‘king of comedies’ was making his debut on the cinematic stage. 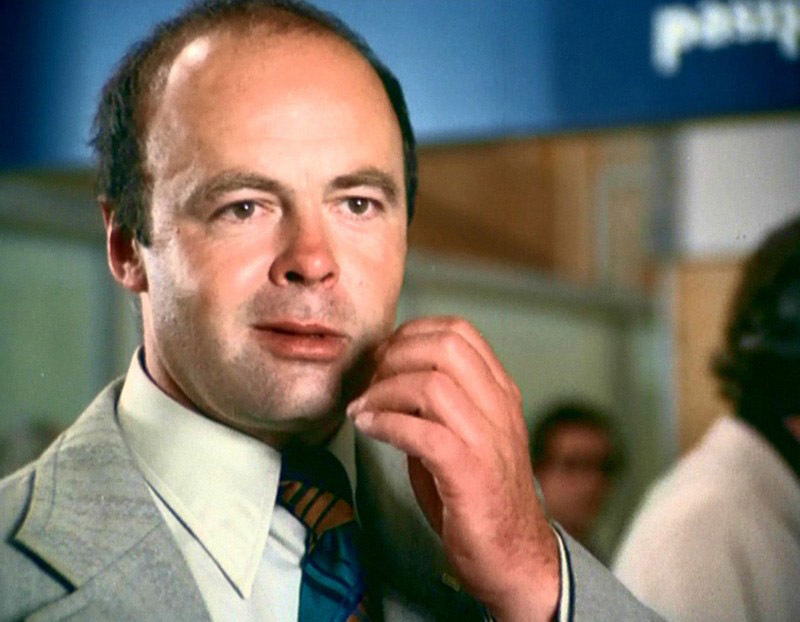 It was Juliusz Machulski, whose film debut was a 1981 retro-gangster comedy entitled Vabank. Comedy is a very rewarding and noble genre. It’s way more difficult to make someone laugh than to make them cry or scared. All of the Cinema of Moral Anxiety productions aren’t worth as much as just one of Bareja’s film. Machulski also knew how to make an audience laugh. In Vabank, he used Hitchcock-style elements and combined them with retro-flavoured comedy. However, the mastery of Machulski’s films was not only due to his sense of humour but also due to the genre solidarity. While the other comedy directors were interested only in different bon mots, Machulski was making sure that his jokes are put in dramaturgic frames. As the result, his best motion pictures should first be recognised as well-devised plots, and only after that – as successful comedies. It was such a dominant issue in our reality that it was impossible to ignore it. This is why the story of Maksio and Albert is teeming with political allusions. The audience noticed them immediately and appreciated the mastery in which they were executed. This could even be measured in number: a year after the release of Sexmission in 1984, the film had already been seen by 10 million viewers. This impressive office box success is incomparably greater than that of any other Polish comedy. 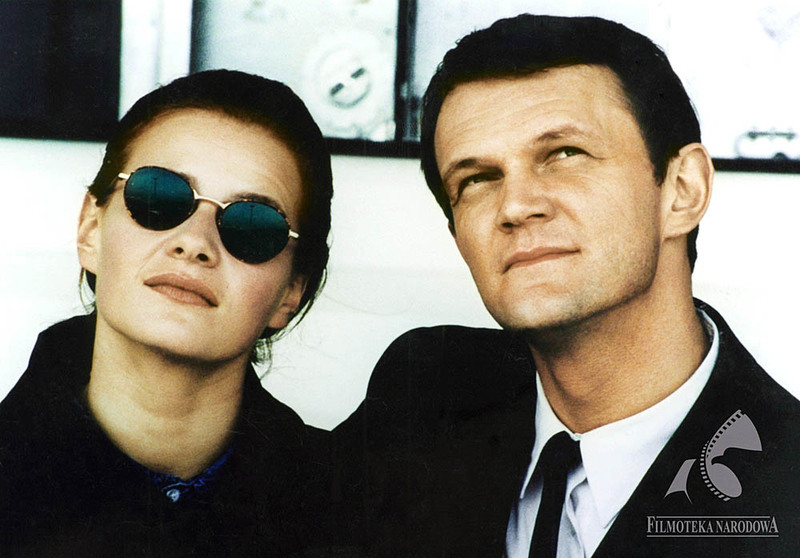 When Machulski took a break from filmmaking and Bareja was working on his new Co-drivers series, it was Janusz Majewski who was enchanting audiences with his films. In 1986, his new comedy H.M. Deserters was released on the big screen – a stylish comedy that takes place during World War I. The plot of this successful comedy was based on Kazimierz Sejda’s novel which was the Polish version of The Good Soldier Švejk written by Jaroslav Hašek in the 1930s. 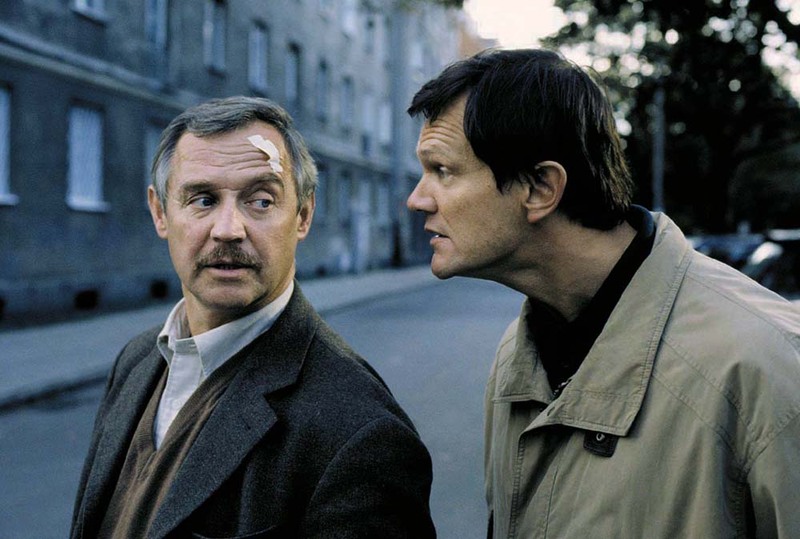 Its success was not only due to the coarse humour, dynamic story and well-devised conflict between the main character (Marek Kondrat) and his memorable antagonist, bon Nohay (Wojciech Pokora). Another reason was of political nature. The depicted collapse of a monarchy was perceived as a sign of another possible collapse of… another powerful political system. Kazimierz Kutz proved just how much Polish comedies are steeped in politics when directing Reverted (Zawrócony). This bitter story about Martial Law in Poland brings to mind Andrzej Munk’s Bad Luck (Zezowate Szczęście). Just like Munk in the 1960s, Kutz chose to present history through the lens of an everyman who was accidentally thrown into the middle of key historical events. By adapting a thoughtless simpleton’s way of thinking, [Kutz] proves how easy it is to become enchanted with the tempting, colourful exterior of that legendary time [of political changes], without even attempting to make any changes within one’s self. The title points to this limitation – the film is about this superficial change. While Kutz was commenting on the myth of the Solidarity movement and the Polish reality of the previous decade, Machulski was trying to make his way in the new reality of the 1990s. A satirical image of that era was created in one of the most popular Polish comedies of the late 20th century, The Hitman (Kiler). Next to Boys Don’t Cry (Chłopaki Nie Płaczą) directed by Olaf Lubaszenko, Machulski’s picture is one of the greatest hits of its times, a distorted mirror that reflects the capitalist Poland of the decade. But while Boys… doesn’t seem to be aging well, The Hitman, a coarse comedy of mistakes remains entertaining. And Cezary Pazura can make everybody laugh. Adaś Miauczyński is a 49-year-old teacher suffering from OCD. He hates people, but what he hates even more is himself. In one of the scenes of the Day Of The Wacko (Dzień Świra), he says: ‘I didn’t succeed, I’ve wasted my whole life’. His marriage split up, his son became a victim of his parents’ toxic relationship, his dream job became ‘torment for a pittance’, and finally, everyday life turned into a chain of unpleasant confrontations with the unbearable outside world. It may seem that such an anti-hero could not possibly win over the hearts of mass audiences. 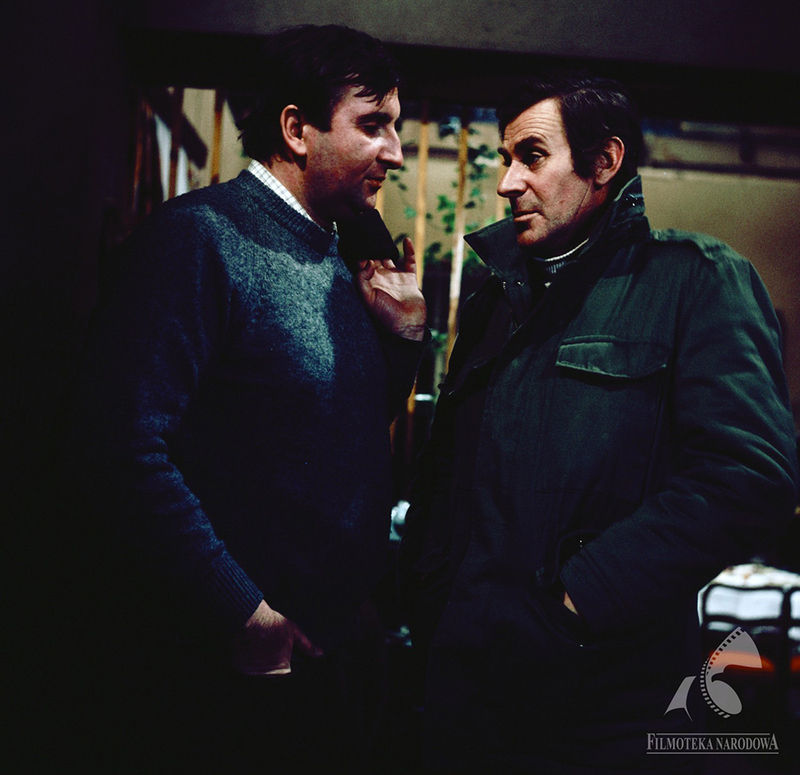 Surprisingly, Adaś Miauczyński, Marek Koterski’s alter ego which appears in most of his productions, became a companion with which to suffer for millions of viewers – misery does love company. Audiences all over the country identify with this neurotic, frustrated Polish-language teacher. Koterski managed the impossible: he transformed his cinematographic self-help into a national psychotherapy session. Wojciech Smarzowski’s feature film debut The Wedding (Wesele) is one of the most depressing Polish comedies: it is an on-screen diagnosis of ‘Polishness’, a satire of the provincial side of the banks of the Vistula river, as well as an ironic discourse with the great Polish writer Stanisław Wyspiański. 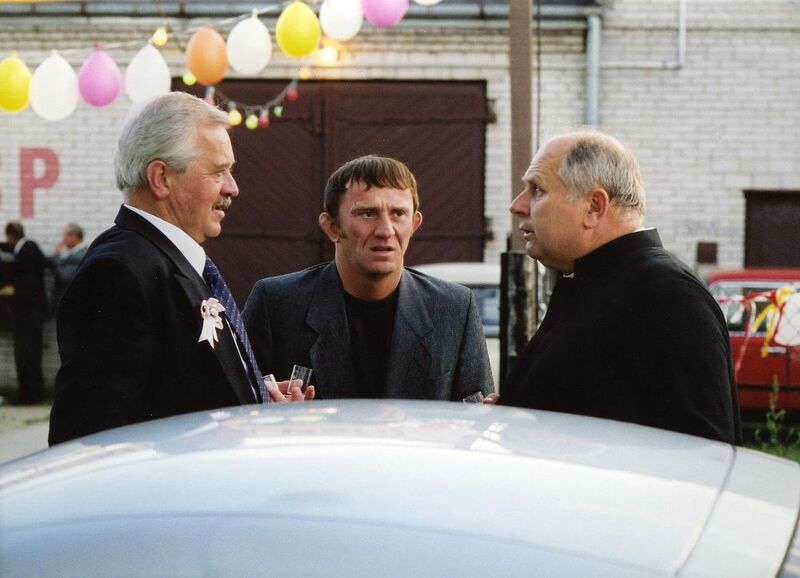 ‘Quoting’ The Wedding by Wyspiański and its film adaptation directed by Andrzej Wajda, Smarzowski depicts a wedding reception in a village in the Podkarpackie Province. All of the Polish national stereotypes are reflected on screen as if in a mirror: greediness, a passion for scheming, hypocrisy… They are visible in the faces of the blind drunk guests who’ve had way too much vodka, and the gluttons who are devouring bad bigos. The director of The Rose unmasks them mercilessly, revealing their pathetic behaviour, empty talk and a tendency to make things up. The sensationalist drama of The Wedding becomes the basis for a playful comedy – some would call it vulgar, some slapstick but everyone can agree that it shows the truth. The main rule governing Grzegorz Jaroszuk’s films is confusion. It emerges at the meeting point of ridicule and tragedy, making a dramatic break merge into a comedic punchline. This feeling of confusion is a source of humour in Frozen Stories – short film awarded at the Locarno Festival. Its director reached for confusion yet again in his debut feature film Kebab & Horoscope (Kebab i Horoskop). This film about carpet shop workers is based on nonsense, the grotesque and absurdity. It doesn’t necessarily make viewers burst out laughing, but rather brings small grins to their faces. The plot is focussed on the ordinariness of human life which comes with affection and bitterness, laughter and sadness alike. Kebab & Horoscope could be the outcome of a co-operation between Roy Anderson and Aki Kaurismäki. It has shaped a new, original filming style that has filled a gap in the Polish comedy industry.